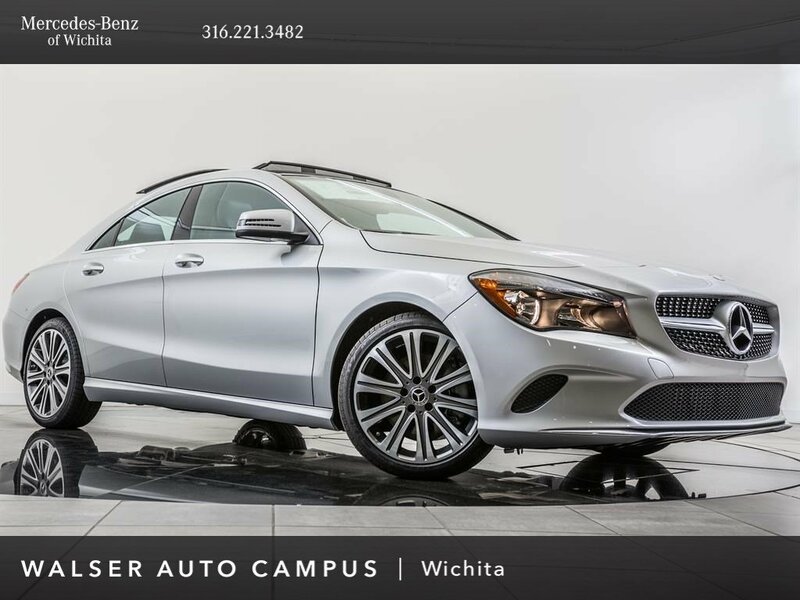 2019 Mercedes-Benz CLA 250 4MATIC, located at Mercedes-Benz of Wichita. 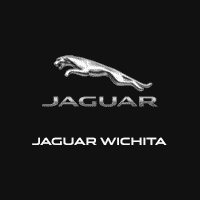 Original MSRP $40,595. 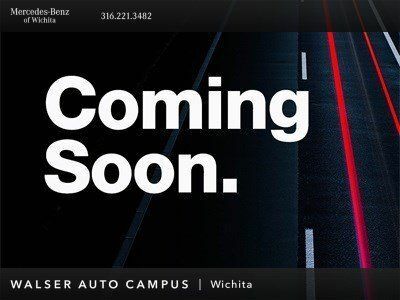 Polar Silver Metallic, Black interior. 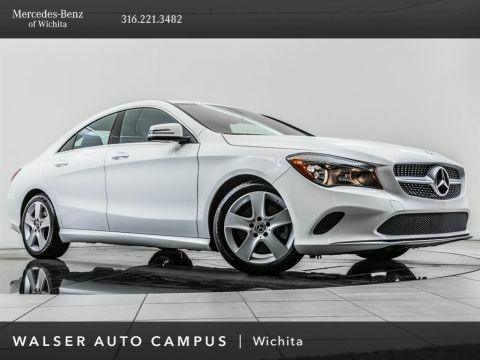 This CLA 250 is equipped with Upgraded 18-inch wheels, 8-inch color display with rearview camera, Blind spot assist, Panorama roof, Apple CarPlay, Android Auto, and Heated front seats.